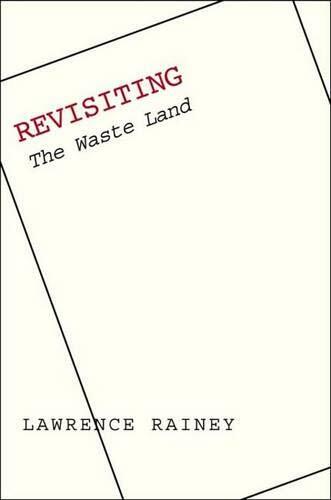 Reflections on The Waste Land. The revolutionary leaders of the modernist avant-garde have suffered the ultimate ignominy: they have become classics, another branch on the tree of Tradition. Prints of Picasso paintings, once shocking, now hang in dentist offices; Joyce, once banned, is now a fixture in the college syllabus. And T.S. Eliot's The Waste Land is now not only a big poem (still the big poem of the last 150 years) but an old poem. Not Odyssey-old of course, but generations old and no longer new, no longer sucking up the oxygen from other poets. The Waste Land, in my estimation, has aged well. It's true that we don't feel the frisson of its apocalyptic manner the way early audiences didas Frank Kermode has pointed out, we have been having "apocalypse for breakfast" for many decades nowbut The Waste Land still speaks to us, because we still live in its wasted world. 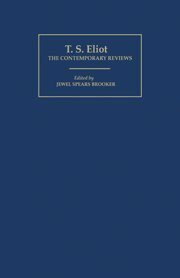 More precisely, The Waste Land does not speak to usas Tennyson or Wordsworth or Milton do, directly and authoritativelyso much as it invites us to participate in the making of meaning, allowing us to hear our own voice speaking along with Eliot's, both of them tentative and searching. At least that's what I tell my students. I am, in the interest of full disclosure, a lit prof, and therefore a keeper of poetry, especially of difficult, even arcane modernist poetry. 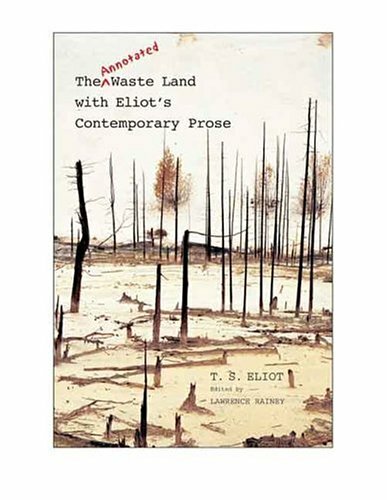 I am not much of a scholar, certainly not an Eliot expert, but I first read The Waste Land almost forty years ago and I have taught the poem every year, sometimes two or three times a year, for most of the last thirty. That is to say, I have lived with this big poem and have gone out of my way to introduce it to others.